AMEC was founded with the mission of providing the best marine electronics for navigation, communication, and safety. In pursuing this goal, AMEC is committed to delivering AIS solutions to meet customer expectations for qualities, performances, values, and services. Our solutions cover from commercial vessels, fishing vessels, and to leisure boats. Since established in 2006, customer satisfaction has been the driving force pushing us achieving superior qualities and performances in our products. Encouragements and positive feedbacks from users reflect the hard work in AMEC’s commitment. To this day our installed user base has spread out all over the world, including Europe, America, Mid-East, and Asia-Pacific areas, reaching more than 40 countries. AMEC’s business also encompasses custom solutions from board level to modules and from OEM/ODM to tailored-made products, to fulfill diverse customer needs. Our management system is granted with ISO 9001:2008 certification and we enforce our facilities operating under strictly controlled procedures. In turn, our partners can fully rely on our operations and deliverables. 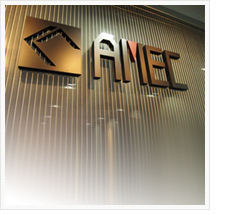 AMEC strives to be a reliable long-term partner for customers that they can truly trust. Our ambition is having our name the first and foremost comes to mind as one is seeking AIS solutions. We will stay true to our mission by meeting the demands and providing high quality products to ensure safety journeys for all of our users. View the latest corporate video to learn more about AMEC.